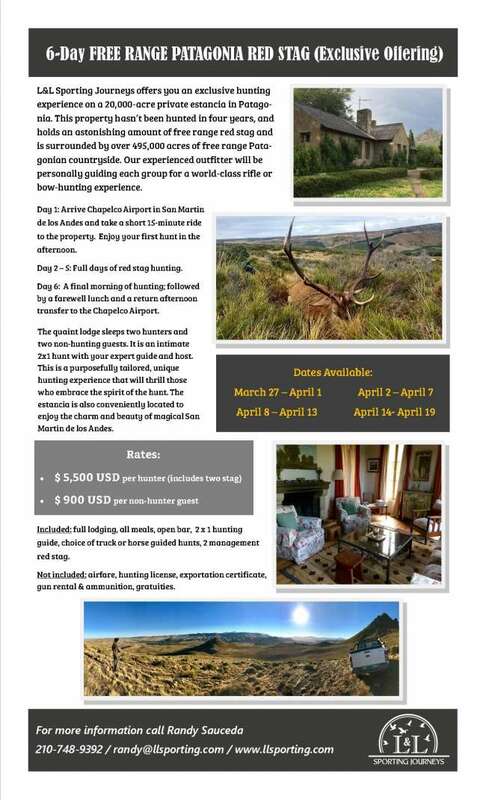 We offer you an exclusive hunting experience on a 20,000-acre private estancia in Patagonia. This property hasn’t been hunted in four years, and holds an astonishing amount of free range red stag and is surrounded by over 495,000 acres of free range Patagonian countryside. Our experienced outfitter will be personally guiding each group for a world-class rifle or bow-hunting experience. We can offer other areas where there is the opportunity for very large trophies. Season is closer, we are starting to glass for animals and look for antler rubs. We are accepting bookings now for 2019!